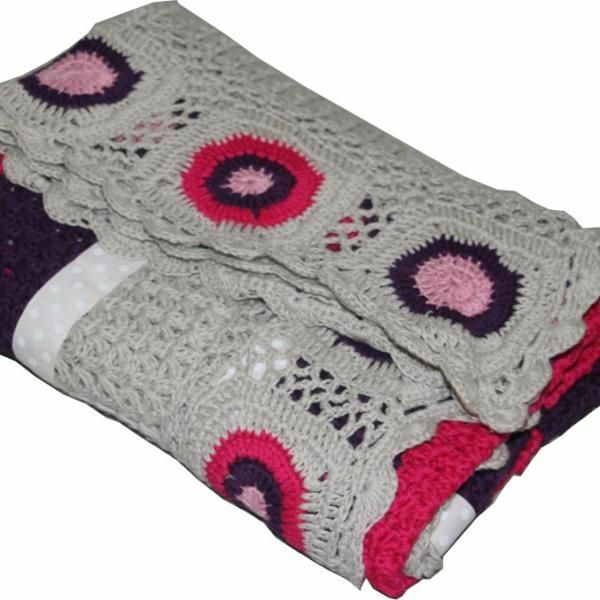 This beautiful hand crochet blanket measures 90cm x90cm. Perfect for the cot, pram or just a throw at the end ot the bed. Made with 100% cotton and grosgrain ribbon trim, these gorgeous blankets add a touch of old and new.